As Jesus was walking beside the Sea of Galilee he saw Simon Peter and his brother Andrew fishing. He asked them what their qualifications were. He soon discovered that they hadn’t completed their training to become Rabbis. Therefore, they weren’t worthy of his attention. The sheer audacity of Jesus calling the disciples is lost on us today without an understanding of the culture at that time. Whilst the steps to becoming a rabbi’s disciple were not formalised at Jesus’ time –they would have probably involved memorising the entire Torah between the ages of 6 and 10. For those who did well they would continue their studies and seek to memorise much of the rest of the OT and the oral law until age 14. This was the last level most men would complete. They would then leave training and have to learn a trade from their father. Only the best and brightest students were allowed to proceed any further and eventually get to become disciples. 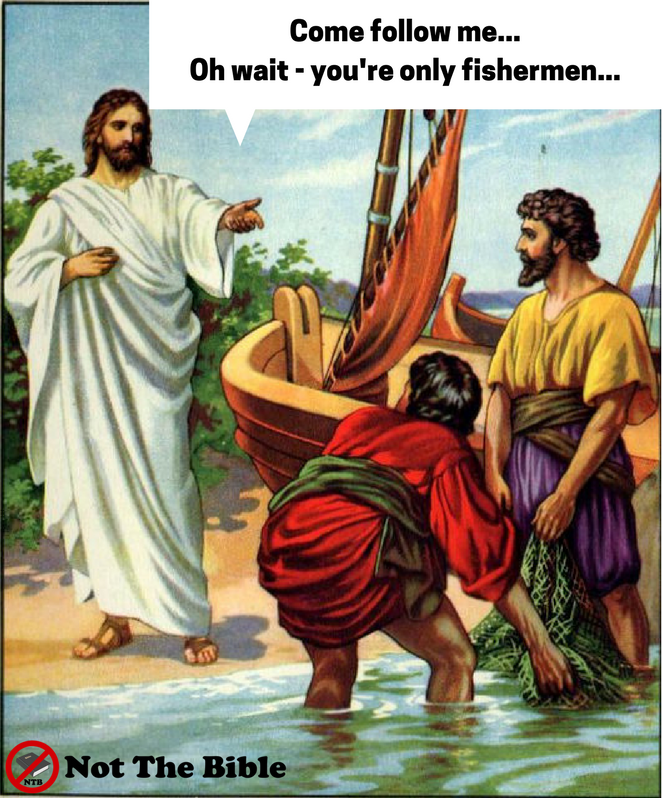 As fishermen, Peter and Andrew had clearly not qualified for that level and so weren’t worthy of a rabbi’s attention. Yet Jesus chose the unqualified. Does Satan whisper to you that you can’t be a follow of Jesus, that something you have done or not done means you’ll never be a great Christian? We are born again because of His Spirit – not because of our abilities. We are given gifts because of His grace – not because we deserve them. More than this – Jesus didn’t just say “I will make you fishers of men” as a clever play on words but as a recognition of the gifting they already had which was designed for the Kingdom. How often do churches not recognise your gifts because they are defined as “secular”? There is no such divide in the Kingdom! Everything can be used for the glory of God. Or how often do churches not recognise your qualifications because they are not given through that denomination’s official training? There is no such thing in the Kingdom! Jesus calls and qualifies us – and as leaders we should honour the gifting God has given people and make room for it*. To do any less is to dishonour the gift giver. Father, thank you that you call me. Thank you that you qualify me. Thank you that you will use everything about me for your glory. May I likewise recognise the worth of others and make room for the gifts you have given them. In Jesus’ name. Amen. *Sure there may be need for character training – but just like Jesus – this can be done on the job.